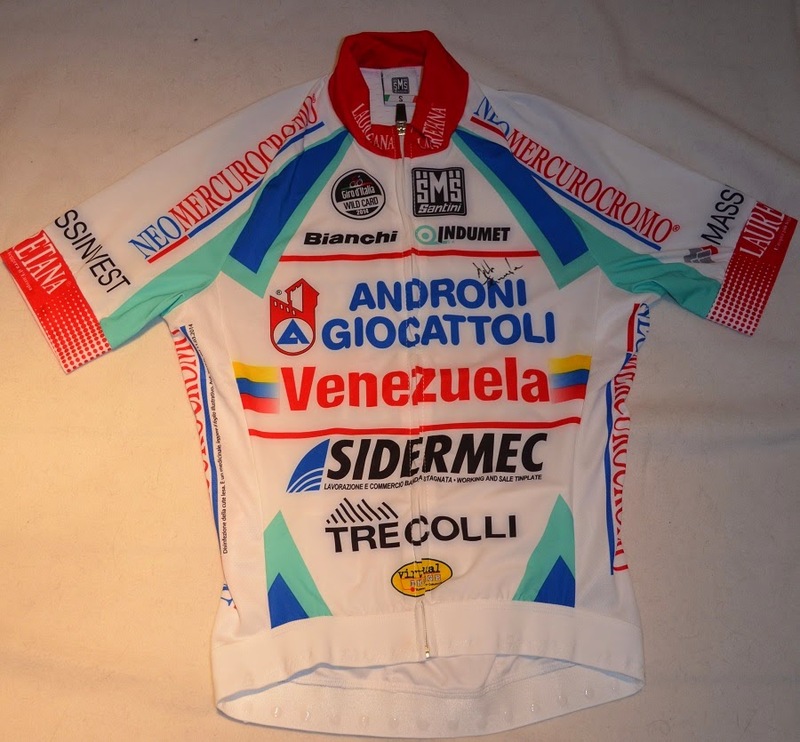 A week ago or so I got very lucky when I received a Jersey from no less than Emanuele Sella in Team Androni Giocattoli - Venezuela. 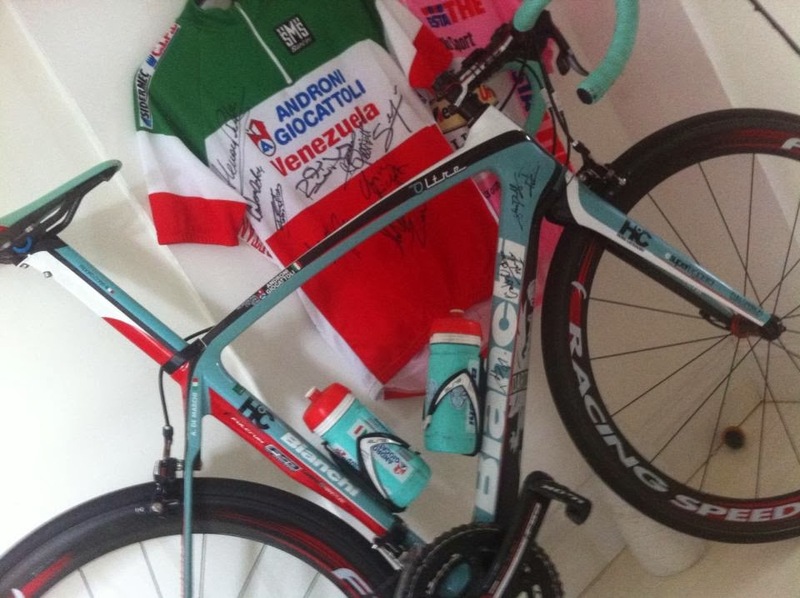 I have a very long time admired Emanule when I think he is a true fighter on the bike. Very often during races he is in a breakaway and always tries to make the race worth for the Team. He is also a true and loyal member to the others in the Team and always fights for them. I have meet Emanuele several times, the last time last year at Il Lombardia and he has always been friendly and he is a very generous fellow. 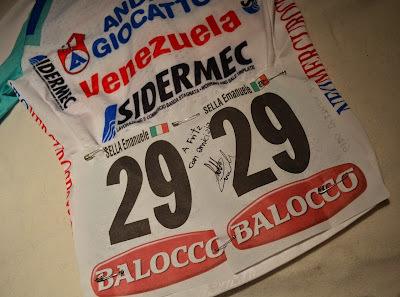 When I wrote to him and asked if it was possible for me to obtain a jersey with the numbers left on the jersey, he told me that he unfortunately was done with races this year. 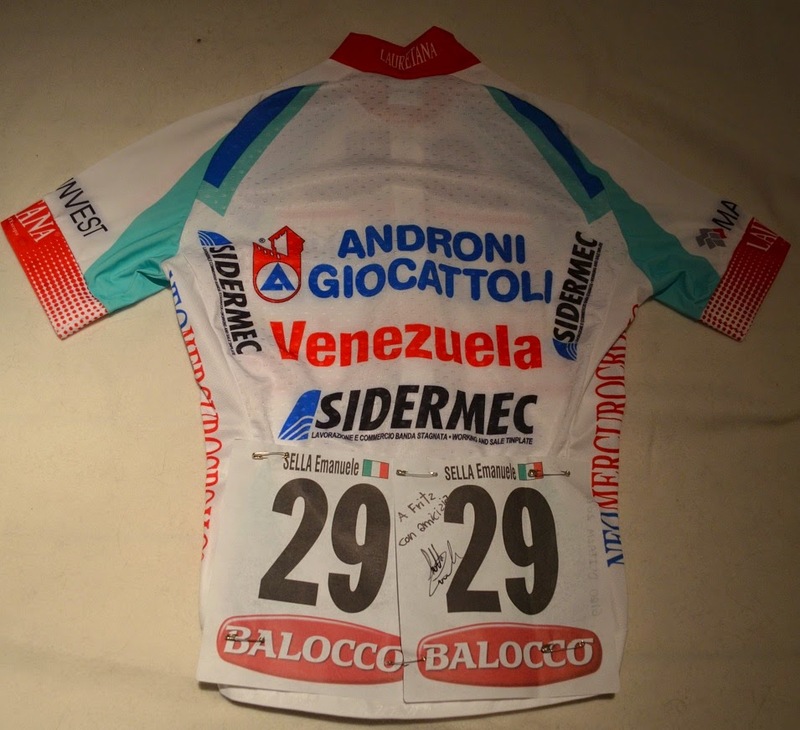 But instead would he send me the jersey he had during the last stage of this years Giro d´Italia. He also signed the numbers for me as well the jersey on the front. For me it has been a dream to have a jersey that a rider of the Giro d´Italia have used, and who could believe that I would get the great Emanuele Sellas jersey?